The store page for Namco Bandai’s Dark Souls: Prepare To Die Edition has popped up on Steam, following the recent announcement that the RPG would be sold through Valve’s online store. You can go look at a big green countdown clock now, if you’re interested. The punishingly difficult fantasy action-RPG launched on consoles in October of last year, prompting a flurry of e-petitioning for a PC version to call our own. The initial announcement of said PC version in April failed to include any mention of the Steam platform. 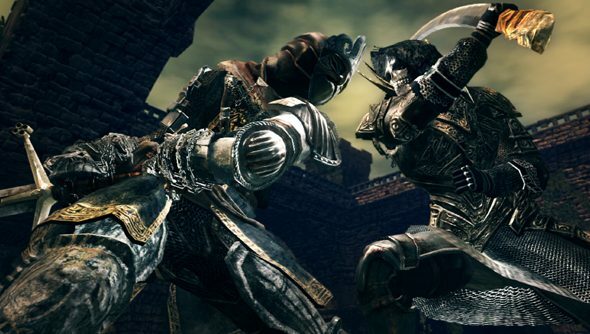 Instead, Dark Souls was set to launch via Microsoft’s faintly unpopular Games For Windows Live service. The Steam release arrives on the back of yet more frantic e-petitioning, which saw some 23,000 signatories push for an option to purchase the game through Valve’s online store. The PC edition launches on Steam on August 24th. The retail version, on the other hand, will continue to use Games For Windows Live for DRM.